Hi Swapna, choice is ours and when we do it rightly as per our heart, it will be the best start to do anything.. Very well written. 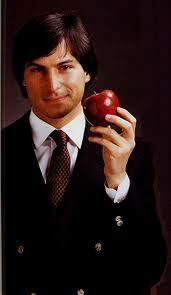 Though I have never used any Apple product personally but I have huge respect for the late Steve Jobs. His life, his sayings inspired me & still inspires me a lot. @Pramoda - True, but we always tend to put off things, even the simplest ones, for another day and that day comes too late. Wish I worked on getting things done when it has to be done. @Sree - Same here. He inspired the world.